San Francisco, CA, 3/06/2018 — Today, AdPlugg announced a new integration with Accelerated Mobile Pages (AMP). The new integration allows publishers to serve ads to their AMP enabled pages using AdPlugg. Accelerated Mobile Pages (AMP) is a specially designed format for serving web pages to mobile browsers. Led by Google and controlled by the AMP Project, AMP is an open source initiative to improve the speed and user experience of web pages viewed via a mobile browser. AMP requires that each technology included in an AMP page be served via an official and approved AMP extension. 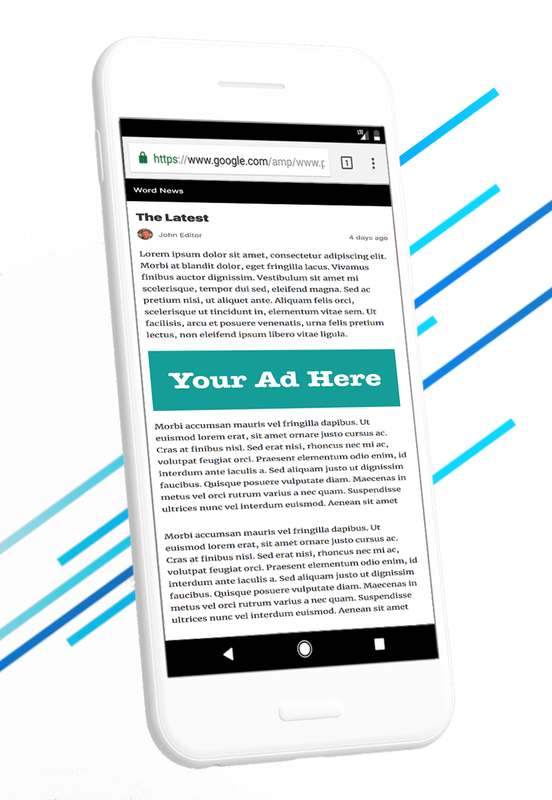 With this new AMP extension, AdPlugg becomes one of just a small number of advertising technologies to integrate with AMP. “AMP is an ideal format for viewing mobile pages” said AdPlugg CEO, Collin Krawll. “With this new integration, publishers can more easily provide a mobile optimized, yet profitable experience for their readers”. The AdPlugg AMP integration allows publishers to add simple ad tags to their AMP pages. They can then schedule, rotate, and manage the ads that appear in their AMP pages from their account at adplugg.com. Via the AdPlugg dashboard, the publisher can then view charts and reports providing detailed analytics regarding how the ads are performing. These charts and reports can then be shared with the advertiser to improve transparency and provide proof of value. Along with the integration (that works with all websites), AdPlugg has also added a new feature to its WordPress plugin that allows publishers to easily insert AdPlugg ad tags into their WordPress powered AMP pages. AdPlugg is an ad server system that allows publishers of any size to easily manage and serve their ads. Publishers simply sign up for an account at adplugg.com and can then start serving ads to their pages by installing the AdPlugg plugin. Available in both free and pro versions, AdPlugg is providing a simple yet sophisticated way for publishers to build their online businesses. For the original version on PRWeb, visit: http://www.prweb.com/releases/2018/03/prweb15274031.htm.